If you are a cat lover, then you will certainly appreciate this game which is entitled Kitty Cash. This is because this game is about two of your favorite things, money and cats, which explains the name that 1×2 Gaming has chosen for the slot machine. 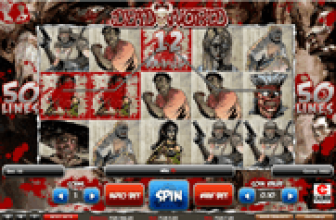 The game has 5 reels and multiple lines that are full of rewards for players to claim during the game play. On top of that, the game also hosts multiple bonus features and special symbols. So get ready to enter the world of the felines and claim your share of the cash that these kitties have to offer you as you enjoy a calming and a relaxing game. Try out the game right here for free before placing real money bets. All of the visuals of the slot machine are conveniently themed around cats. This is why players will see plenty of kitties as symbols revolving on the reels of the game. This includes a red kitty, an orange kitty, a green kitty and more. Other symbols include fishbone, a ball of fur, and the free spins Tuna can. These symbols will spin on the game’s 5 reels and will be spread across the nine lines that the game hosts for players to place bets on and earn multiple winnings. At any time, players can view the location of these lines on the reels of the game as they click on the win lines button under the reels. Next to that button, players will also see the paytable button that would view all of the different symbols that the game has, and their corresponding payouts, as well as the special bonus features and symbols that the game has. Lastly, there is the Auto Bet function and the Max Bet button that can make the wagering process pretty easier and smoother for online players. 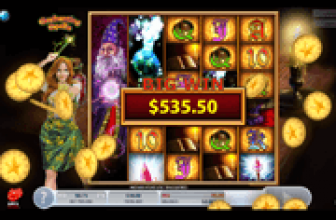 The bonuses and the special icons that Kitty Cash has start with the wild icon that has the ability to substitute for any of the other icons on the reels of the game to enable players to earn a payout. This wild icon is none other than the black cat with the wild green eyes. Another special symbol that the game offers is the scatter tuna can symbol. 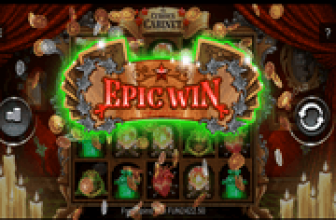 This scatter icon does not only give out scattered pays, as it can activate the slot machine’s free spins round. This happens when players manage to get at least 3 of these symbols anywhere across the reels during the game play. Kitty Cash is a wonderful 5 reeled 1x2 Gaming powered slot machine that comes baring plenty of gifts. Claim your share of the Kitty Cash right here and enjoy a wonderful feline themed experience that is calming and rewarding.